We are a family owned and operated farm on Allard Rd. in Granger Twp., Medina County, Ohio. We raise heritage pigs and poultry on pasture; the way nature intended. Our animals do not receive growth enhancers or regimented antibiotics. 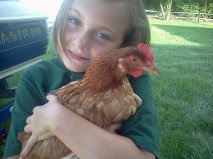 We produce good wholesome flavorful pork, poultry, and eggs to feed our family, and would like to share with you! The natural production of our food - without the use of preventive medications, growth enhancers or other chemicals. 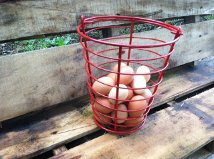 We utilize sustainable farming practices to ethically produce flavorful healthy old world style pork, chicken and eggs. Our livestock are raised outside on pasture in the fresh air. They are given what they want and need to live healthy and stress free lives. They spend the day grazing on grasses and other goodies found on our pasture all the while returning nutrients back to the earth. They also receive high quality feed, fruits, and vegetables to ensure proper nutrition.